Real estate is a blooming market. Nowadays, we see almost everyone investing in properties or seeking for guidance to do so. From entrepreneurs to savers, everyone is looking to diversify their profits, thus real estate offers them a great opportunity. Purchasing property is great for long term Capital gains as the buyer receives tax exemptions from the government on buying or investing in a new house. Another perk of investing in property is that it appreciates with time. For example, the property valuations in Mumbai have increased by 66% over the last 4 years. Property rates have simply sky-rocketed. The high rate of development and availability of services propels the value of your property even more. These factors contribute to turning your investment into an appreciating asset. 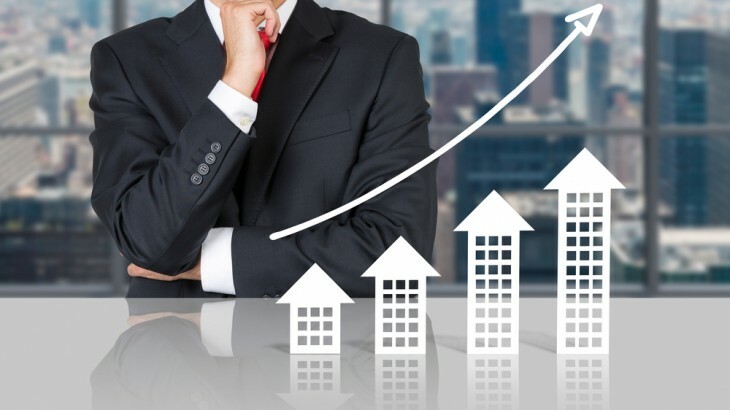 Real estate is one of the best ways to combat inflation because it is one of those investments where value increases along with the increase in currency value. The limited availability of land and growing population also play a significant role in making real estate investment safe against inflation. Additional income is always welcome and investing in property guarantees that. This income is generated by renting the property. Renting is quite profitable as a whole. Here is a comparison, between an income of Rs.25, 000 generated from a business and the same income generated from a rental property, which is more profitable? It’s the Rs.25, 000 generated from rental property. This is because Government offers tax benefits due to depreciation costs which include property maintenance, labour charges incurred for repair work, bill payments etc. This income is created by renting your property. Renting as a business venture is also extremely profitable. Property is a permanent investment, unless the owner decides to sell it. Even after the owner is gone, the property remains in the family. The kin can also benefit from this appreciating asset, making it a great legacy to leave behind. It is very difficult to incur a loss in real estate because the value of property only increases with time. He/she can decide to rent out the property to generate more income or sell the property to get money in hand. Regardless, the owner does not have to worry about stocks crashing or incurring losses in business because of complete ownership of property. Though proper research is a must while selecting a property. It is really essential to buy from reputed builders to avoid being duped. The investor is not answerable to anyone because the property belongs to him alone. Owning a property also gives you a better sense of security unlike owning stocks and bonds as your investment has a physical presence. Real estate investment is one of the few investments where one can experience this kind of Owner’s Pride.